Although it may seem unbelievable, yet there are few horse riding centers in Athens. These centers are found in the suburbs of the Greek capital, about 30-40 km from the city centre. 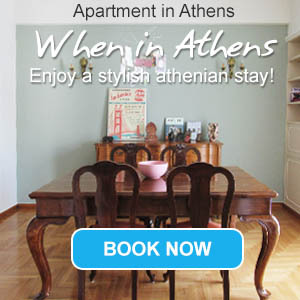 In short drive from the centre of Athens are sparsely-constructed small towns with green surroundings. This is where there are few farms and centers for horse riding in Athens. These Athens horse riding farms are usually educational centres that offer riding courses. Some competitions also take place there. However, there are few centers that arrange horse riding walks in Athens upon arrangement. These riding walks pass through the forest and lead to old monasteries and mansions. Here are some horse riding centers in Athens. Each horse riding center is presented with detailed text, photos and point on Google map. If you have experience with any of these riding centers, feel free to write your review. All request forms are sent directly to the riding center manager so that you can book a course or riding walk with them or ask any question. The Riding School of Athens was founded in 1961 and it is the second oldest riding school in Greece. Its aim is to teach the sport of horse riding capable and create riders capable enough to participate in competitions.